Floating Islands is the name you would see on a restaurant menu. 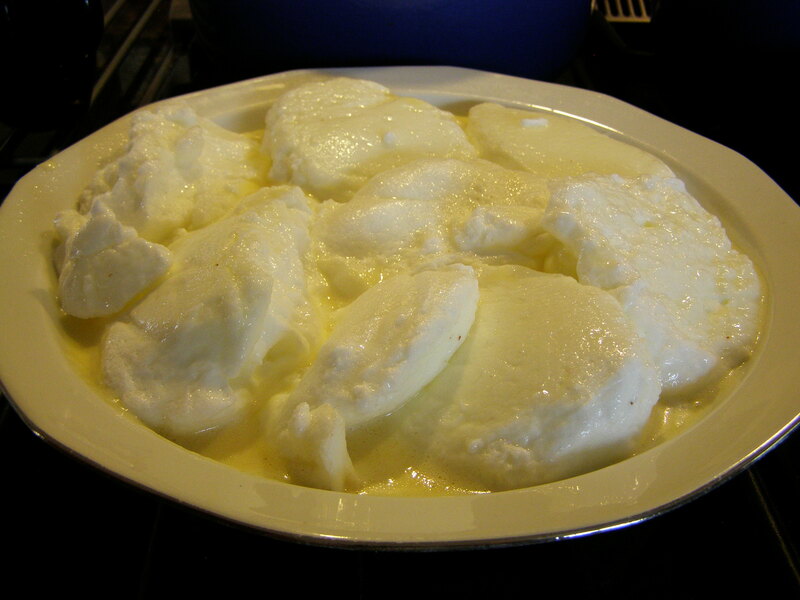 Most kids would actually request “oeufs à la neige” (eggs à la snow or beaten egg whites), the more popular term. Both names come from nature, neither are very accurate, as the final look is more like icebergs on a yellow sea. In any case, this is a French classic and always a kids’ delight. First stage is to bring to boil half a liter of whole milk with a tbsp of vanilla extract and half the peel of an orange. Let it cool, remove the orange peel and the skin on the top of the milk. Now, mix eight egg yolks with one cup of white sugar with a whisk. 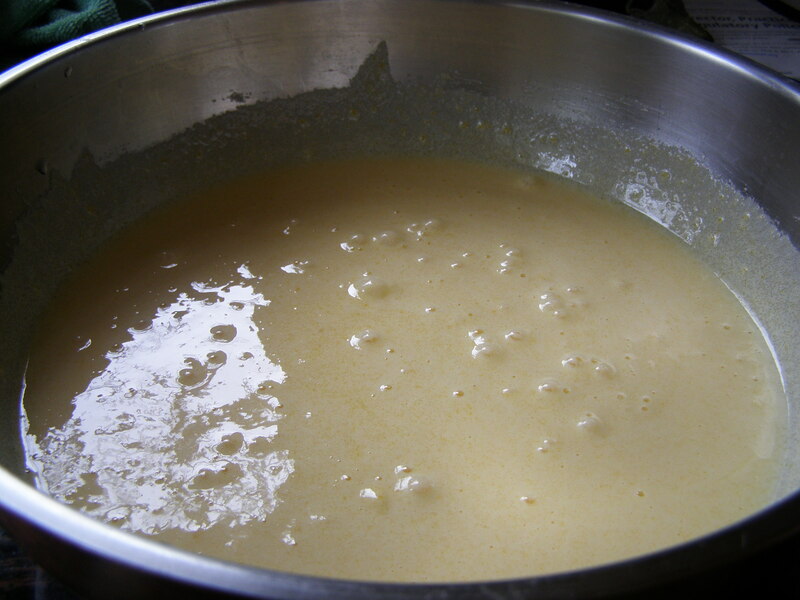 When the sugar has melted and the texture is totally smooth, transfer it to the pot with the milk and put it back on low/medium heat to thicken into a custard while stirring. As you see the first evidence of thickening, turn the heat off and keep stirring vigorously until cool enough to stop the thickening. Cool completely and refrigerate. If your custard is perfectly smooth, that’s all that’s required. If it is not, there are too options, straining it through a “chinois” might do it. 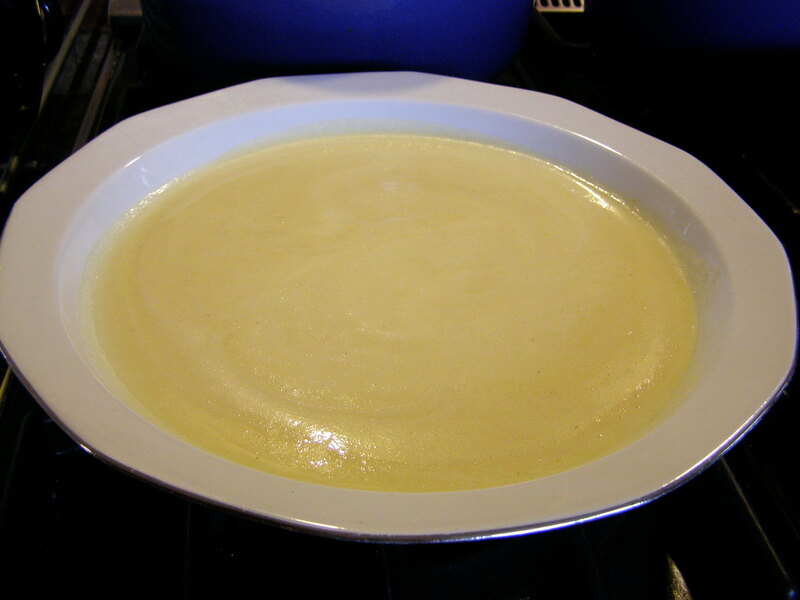 If, however, you overheated the custard and it formed lumps, the only remedial trick short of starting over again is to throw the custard in the blender and pulse it until it looks smooth. The last thing to do is to beat eight egg whites with a pinch of salt until they are very firm. Then, throw 6 X-large spoonfuls in a large frying pan full of boiling water and cook for 2 minutes on each side. Try to shape them to look like islands or icebergs! Drain on a clean tea towel, then drop gently on top of the custard. 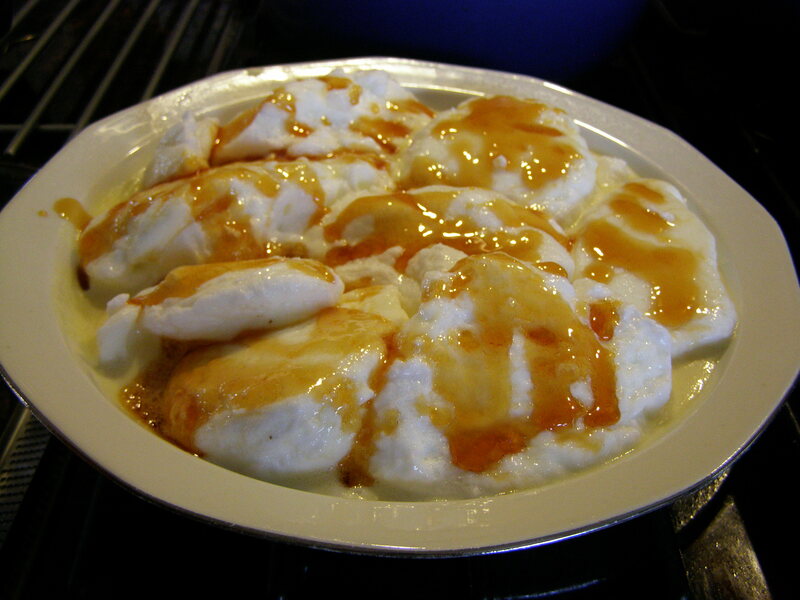 Traditionally, the islands are sprinkled with caramel. For the caramel, heat half a cup of white sugar in a very clean pot with 1/2 tsp lemon juice, when brown add 2 tbsp cold water carefully as it will splash. Stir and pour drops on the floating islands. Refrigerate at least one hour. Serve one island on each plate and add the custard around it. Note: The eggs should be really fresh. The shells should be washed before breaking the eggs. I like using omega 3 eggs for the bright orange yolks. This entry was posted in Dessert and tagged dessert, floating islands, food, iles flottantes, oeufs a la neige, recipes, verygoodrecipes. Bookmark the permalink.